Boston University is hosting classes on how to raise gay children. 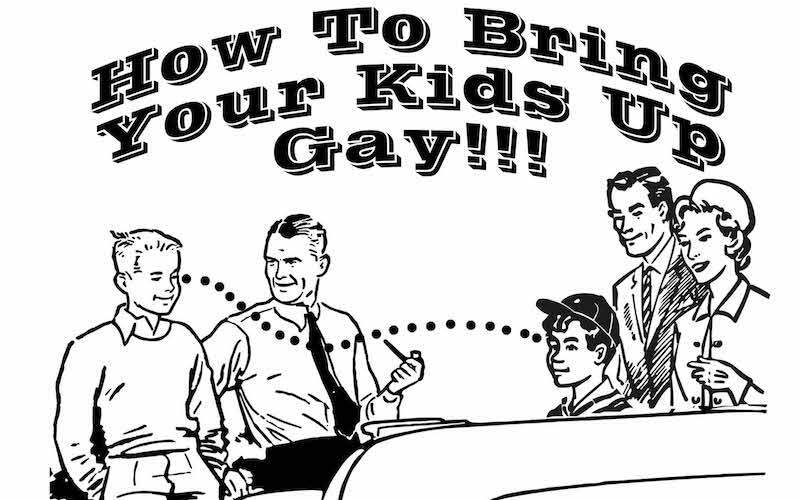 The “workshops” are titled “How to Bring Your Kids Up Gay” and follows the “feminist and queer theory” of sexuality that’s taught every where in American colleges and universities. According to the website, the two-day workshop focused on “the alarming rate of suicide among gay and gender non-conforming youth, and critiqued the failure of psychotherapists in the US to address this crisis with queer-affirmative interventions.” The “workshops” are based on research done by Eve Kosofsky Sedgwick, a pioneer of “queer studies” in the U.S.
As conservative journalist Robert Stacy McCain points out, the goal here is to claim the higher rates of suicides and other psychiatric problems among gay youth is exclusively caused by society’s homophobia. Is there a direct cause-and-effect relationship between homophobia and teen suicide? No. Most homosexuals do not commit suicide, and most people who commit suicide are not homosexual. Furthermore, we cannot simply discard as obsolete (or “regressive”) the basic psychological insight that views homosexuality as a tendency arising from childhood problems often associated with family dysfunction. You don’t have to be a bigot or an advocate of “reparative therapy” to interpret homosexuality as a matter of psychosocial development. The same issues correlated with homosexuality are also correlated with problems like drug abuse and depression. Feminism’s ironclad grip on academia means that parents who pay $48,436 a year to send their sons and daughters to Boston University can be certain that their children will never be exposed to any perspective on “sexuality and gender” that contradicts the “feminist and queer theory” advocated by Professor Carrie Preston. No American university student is ever exposed to any cogent analysis of human behavior based on the premise that males are naturally masculine and females are naturally feminine, and that family formation on the natural basis of heterosexual pair-bonding serves any legitimate or useful social purpose.